While Cyprus’s division continues to seperate the country, and negotiations falter, the island’s politics undermine it’s economic potential. Yet, Cypriot entrepreneurs are doing what politics can’t, bringing the island’s two communities and economies closer together despite absent political settlements. Stepping onto the streets of Paphos, one can spot all the signs of a go-to tourist destination. Sun radiates off the city’s waterside boulevards, as English tourists do their very best to masquerade as overripe tomatoes and waiters frantically manage the requests of their many customers. One thing is abundantly clear here in Paphos, business is good. In the southern Republic of Cyprus, the population benefits from some of the highest GDP per capita income in the European Union, at just over USD 23 000, Cypriots enjoy higher wages than 50 percent of EU member states – an impressive figure for a small island nation. Yet, a two-hour drive north sits the island’s largest economic challenge: a 10-foot-tall chain fence, running across the length of the island that has carved the nation’s economic potential in two. The division of the island into the Greek Cypriot Republic of Cyprus (RoC) and the Turkish Republic of Northern Cyprus (TRNC) in 1974 has hampered the islands development for half a century. The RoC is the only internationally recognised government on the island, is a full member of the EU and trades internationally without barriers, while the TRNC is only recognised by Turkey, and relies on Ankara for the vast majority of its income. While the RoC prospers within the EU, the northern half of the island struggles to maintain profitability and relies heavily on money from Turkey to survive, and the island’s inequality continues to grow. 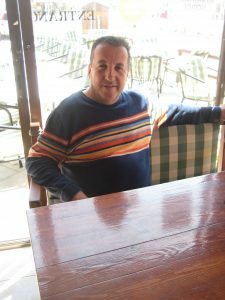 In the bustling streets of Paphos, Demetris Zavvos sits in the sunny The Green Corner Pub, a venue he has owned and run for 24 years. Zavvos thinks that – as a business owner – the islands unification will benefit him in the long run. 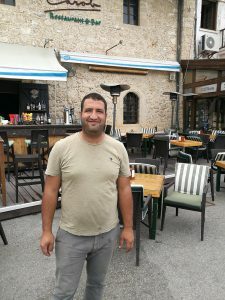 Across the border in Paphos’s northern counterpart, Kyrenia, bar manager at the Carol cafe, Selim Serge, shares Zavvos’s sentiments, that once a re-unification does happen, their business will be better off. In the clean and refreshingly air-conditioned office of the Turkish Cypriot Chamber of Commerce, sits the chamber’s president Fikri Toros in a finely cut suit. As a leader of the TRNC business community, Mr Toros is deeply involved in the cooperative efforts of business in Cyprus across the border, and declared himself as a strong advocate for the unification of the island. “No peace has been achieved in the whole world without cooperation proceeding it. If we achieve economic cooperation under the prevailing political situation, that will not only contribute towards our growth, but also it will bring the two communities closer, grow faith, and abandon mistrust,” Mr Toros asserts. Mr Toros casually describes himself as a “second-track diplomat”, as he offers two remarkable examples of how, when push comes to shove, the Cyprus business community has the potential to shake off the political and legal barriers to help one another. On a structural level, and despite the best efforts of the business community, the island’s political fracture is an ongoing issue for the full economic union of the island, and for the last 43 years has created two very different looking economies. Cyprus Policy Centre chair Dr Ahmet Sözen says the division of the island is abundantly clear from an economic point of view. 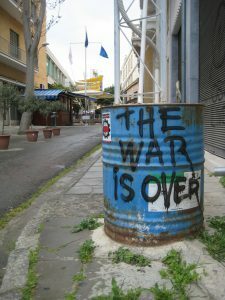 The people of Cyprus express their discontent with the political situation in Nicosia’s buffer zone. Photo Credit: Bennet Nichol. For example, both the North and the South of the island rely heavily on tourism as one of their key industries, yet the division of the island has hampered the ability for both sides to embrace its economic opportunities equally. The TRNC can only receive flights from five cities within Turkey, whereas the RoC can receive direct flights from across Europe and globally. As a result, tourists have to pay a significantly larger amount of money to fly to the TRNC, compared to the price of a direct flight the South of the island. At the end of the main boulevard of Nicosia, the islands capital, tourists and locals line up to have their passports checked at the border that separates the city into two countries. European Union passport holders are quickly ushered through the crossing, as less fortunate nationalities are forced to persuade grumbly border officers of their right to pass. Crossing from North to South, travellers are met with a large white sign hanging over the Greek border checkpoint that reads: You are now entering the European Union. A seemingly innocuous sign that marks a major source of the island’s inequality. Back in April 2004, a referendum was held in Cyprus that proposed to both unite the RoC and the TRNC into a federal system, and collectively bring both sides into the European Economic Community. The referendum was approved by a 65 percent majority in the TRNC, and rejected by the Greek RoC population, with 76 percent voting no. Politics aside, the referendum was an opportunity for the island’s two economies to converge and equally benefit from the EU single market. However, due to a pre-arranged agreement with the EU, the RoC was guaranteed membership despite the outcome of the referendum, and was subsequently indoctrinated into the union alongside nine other new members in May that same year. 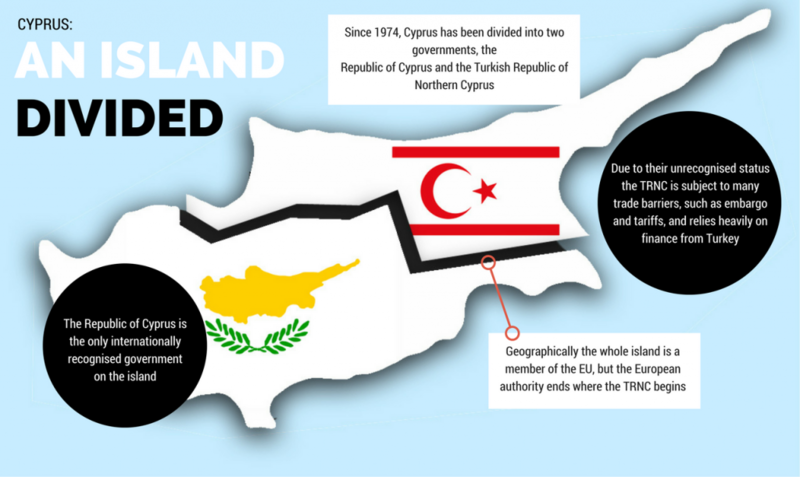 As a result, the EU brought the entire island of Cyprus into the Union, but suspended its activity and authority in the TRNC. Effectively dividing the island once again: one side a full EU member, and the other not. “The application of the acquis shall be suspended in those areas of the Republic of Cyprus in which the Government of the Republic of Cyprus does not exercise effective control,” reads the EU accession protocol. Many Cypriots, particularly Turkish Cypriots, see this as a continued source of pain between the two communities, and see it as only serving to exacerbate the ongoing economic and political disparity. Now, as Turkey has been modernising its economy for a potential EU membership, and the RoC already a well-established member, the TRNC finds itself sandwiched by two internationally competitive economies; an unfavourable position for any state that wishes to increase its growth. 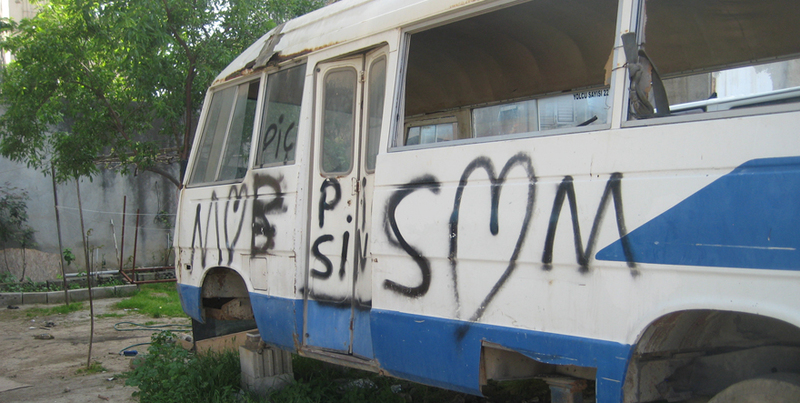 From an outside perspective, the two sides of Cyprus seem like a totally different place. 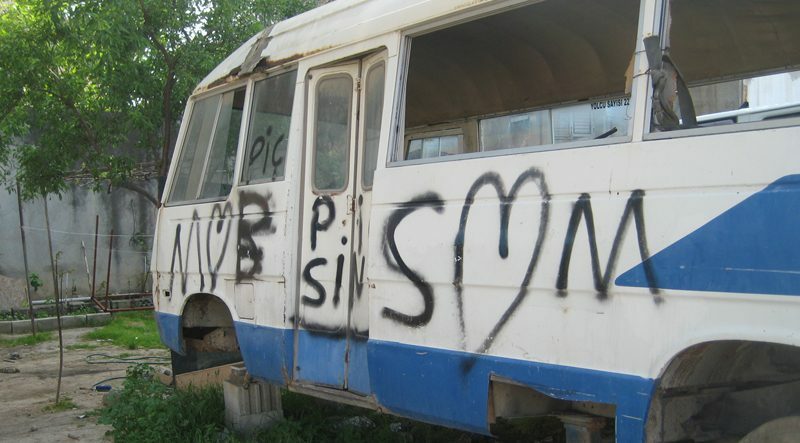 The economic disparity of the island paints a picture of opulence in the RoC and indigence in the TRNC. But what truly exists is a somewhat paradoxical situation. Tourist destinations in both the north and south appear remarkably similar, the stylish resorts of Ayia Napa in the south and the grandiose hotels of Kyrenia in the North seem to contradict these preconceived notions in their similarities. What exists across the border becomes glaringly obvious as one travels from south to north. The island does struggle with a large economic deficit, but the real tragedy of the division lies in the untapped potential that a unification could bring about. In the Istanbul-esque streets of the northern Nicosia Professor Mustafa Besim, head of economics at the Eastern Mediterranean University and expert advisor to the island’s ongoing political negotiations, sips a Cypriot coffee and contemplates the potential of a unified tourist industry. Yet the economic benefits of a unified island have proven insufficient to persuade the RoC to cede a portion of their political influence for a federal structure, as Professor Besim now changes tacks and hopes stressing the disadvantages of a division, rather than the benefits of a union may inspire a the country to come together.